Outside bollard lights are a way to provide sturdy lighting for the outside of your home or business. Bollard lights also known as garden bollard lights are extremely versatile and are used to add light to walkways and paths and beside outdoor steps to provide more safety for those travelling those pathways or stairs during the evening hours. Bollard lighting is also used in gardens to show off the beauty of those gardens even after dark. Outside bollard lights can be scattered through out your garden to highlight your plant life and even water features. Some people and hotels even use bollard lights to light decks so that their family or guests can enjoy sitting out of doors late in the evening when the weather is nice. When choosing outside bollard lights for your home or business there are some things you should look for in the lights you are choosing and the company you are purchasing the lights from. Here are a few things you may want to consider when buying outside bollard lights. When purchasing bollard lights you need to consider more than just the purchase the price of the lights themselves. You also need to consider how much these lights will add to energy bill, how it will cost to keep them burning and the amount of maintenance these lights will need. Here at Ultra Bright Lighting we offer a nice array of LED bollard lights. Not only are lights reasonably priced, they also are extremely energy efficient (they use much less energy than more traditional lighting sources. )These lights also burn for 20,000 hours, which is 20X longer than standard light bulbs and they require little or no maintenance. How well your lights are going to perform is another consideration. Here at Ultra Bright Lighting our garden bollard lights are made from the highest quality material and will withstand changes in climate and weather conditions. In addition, we employ the latest technology in our LED lights. Our lights will perform for several years to come and we offer a 3 year guarantee so you can rest assured that we stand by our LED outside bollard lights. While the performance of your outside bollard lights is the most important consideration, you also want lights that are going to enhance the look of your property. Here at Ultra Beam Lighting we strive to bring you the most modern and attractive bollard lights possible for your home and business. 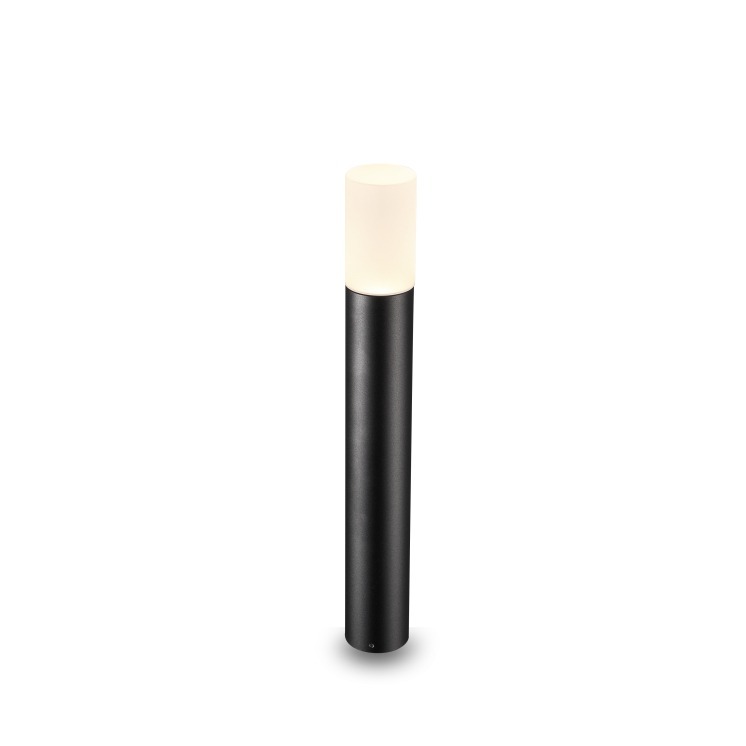 Our modern bollard lights come in black and are various sizes and dimensions. They are also come in various wattages so you can get the right amount of light to meet your individual or business needs. Please take the time to browse our outside bollard lights and see what we have to offer. Should you have any questions about our lighting you can speak to our online representative or give us a call at 0800-678-5156. Keep in mind that you need to have your bollard lights installed by a qualified electrician.